Taking the social responsibility as its own duty, KAYO provides consumers with double security. KAYO products have obtained FCC certification and can be safely used in communication products. 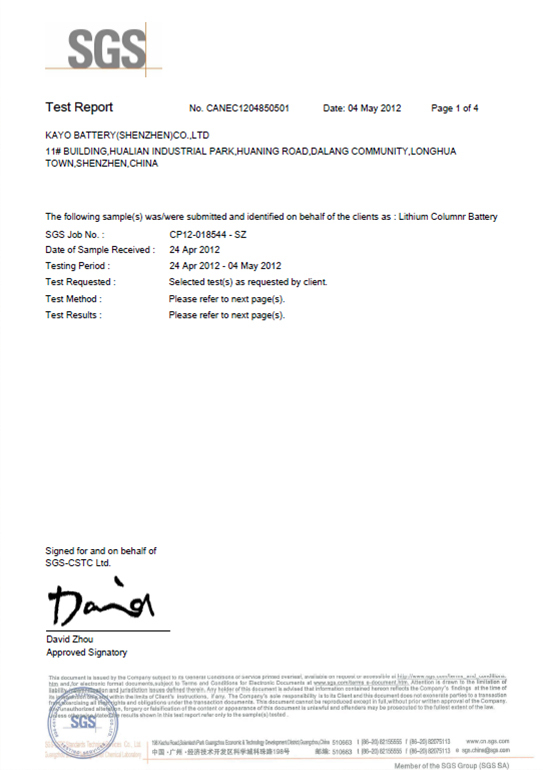 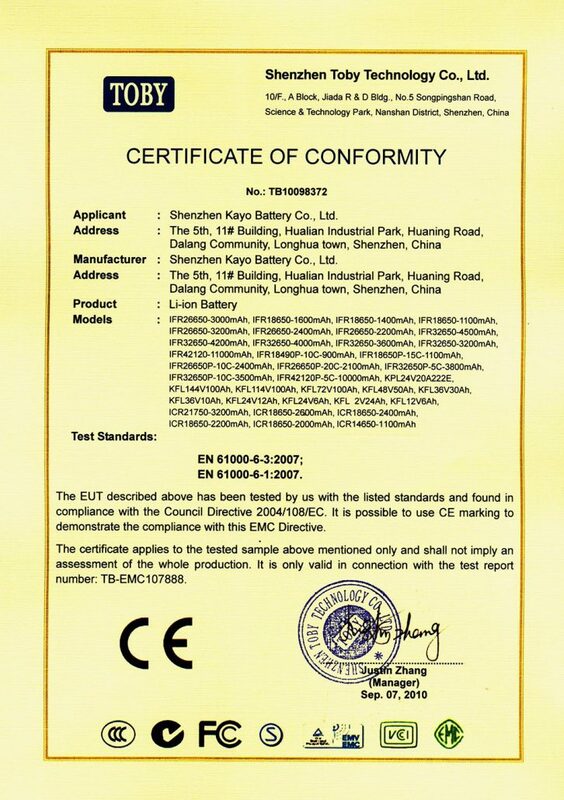 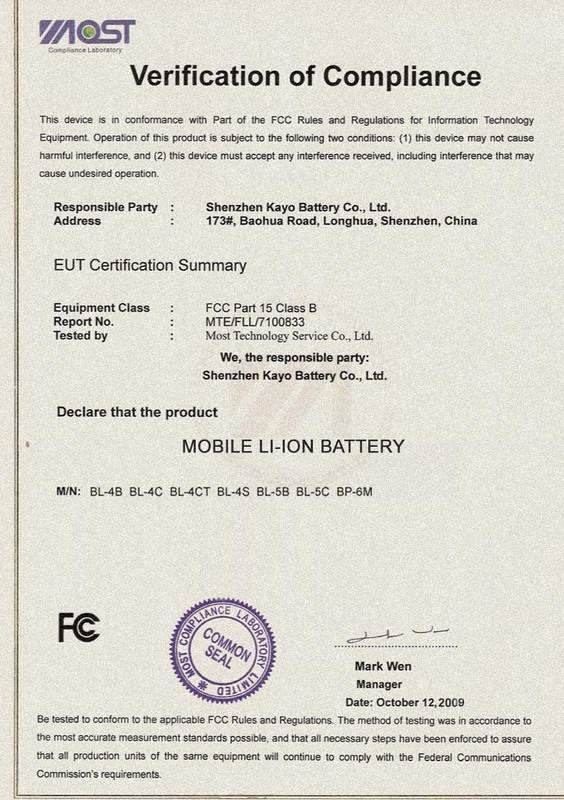 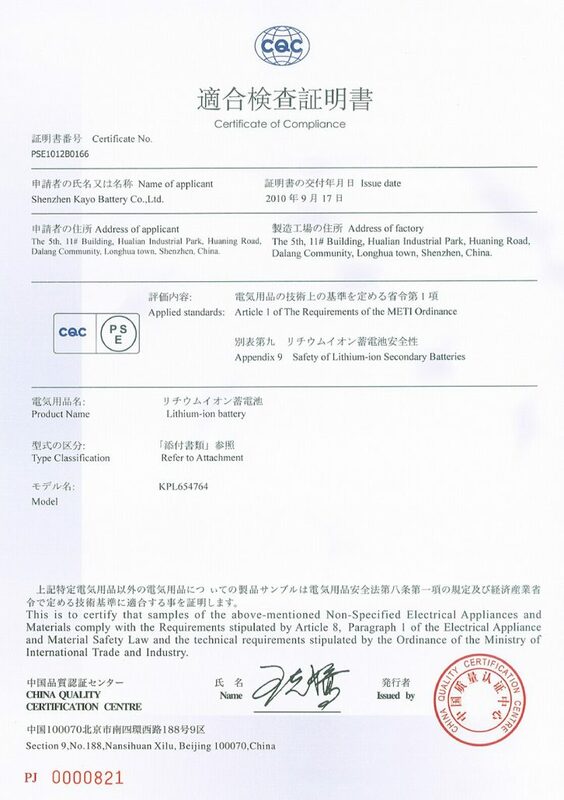 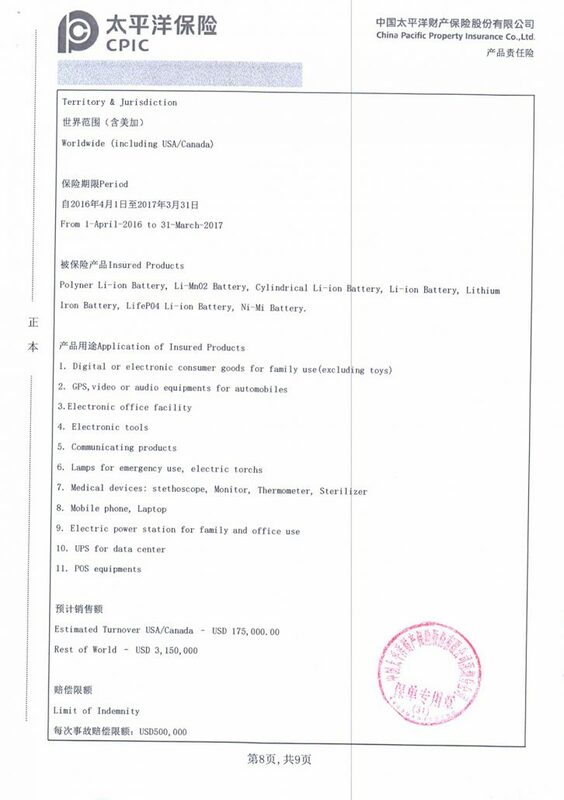 KAYO all series battery have obtained RoHS certification and promises all others components conform with RoHS. 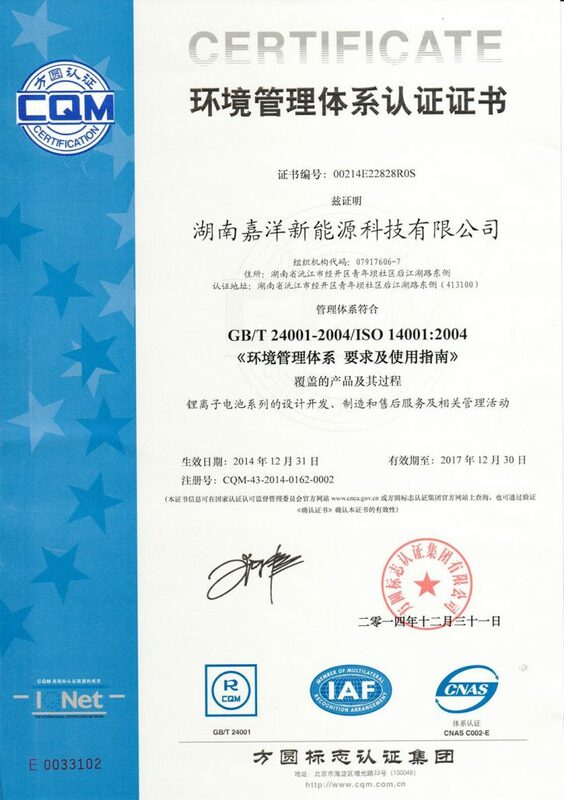 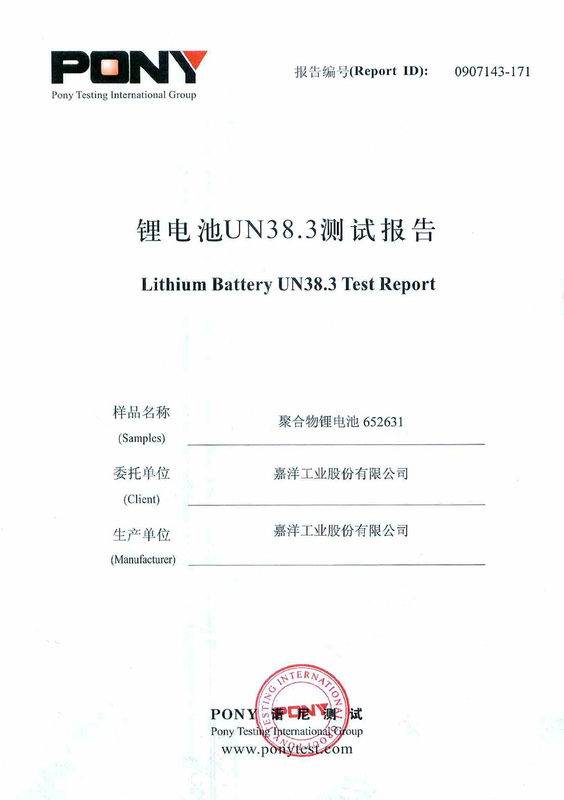 KAYO products have obtained UN38.3 certification, and the packages are in full conformity air transport or sea transport. 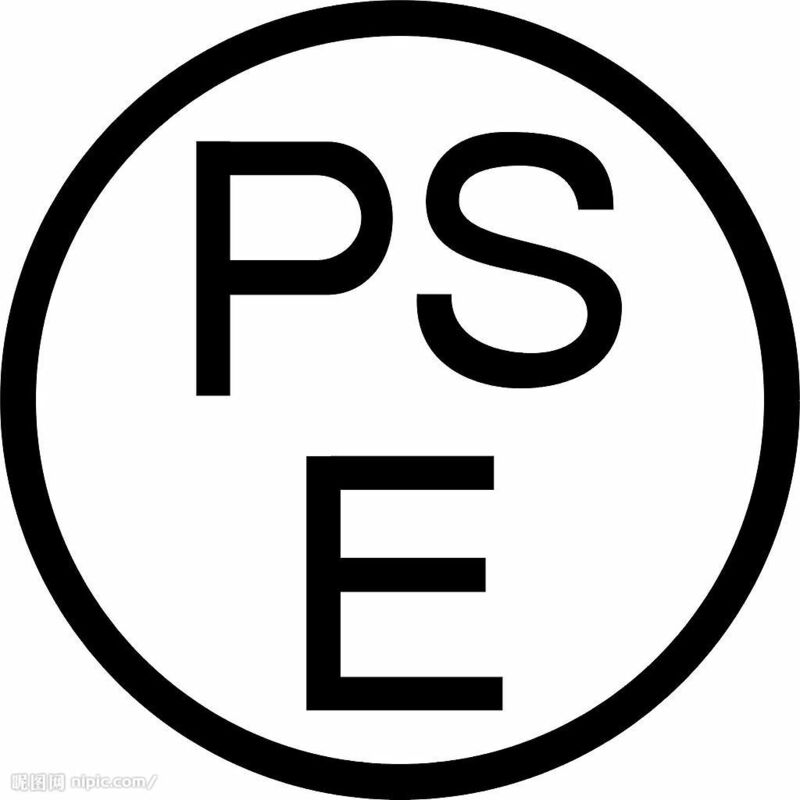 KAYO products are in line with the PSE certification requirements and can be safely used in electric products. 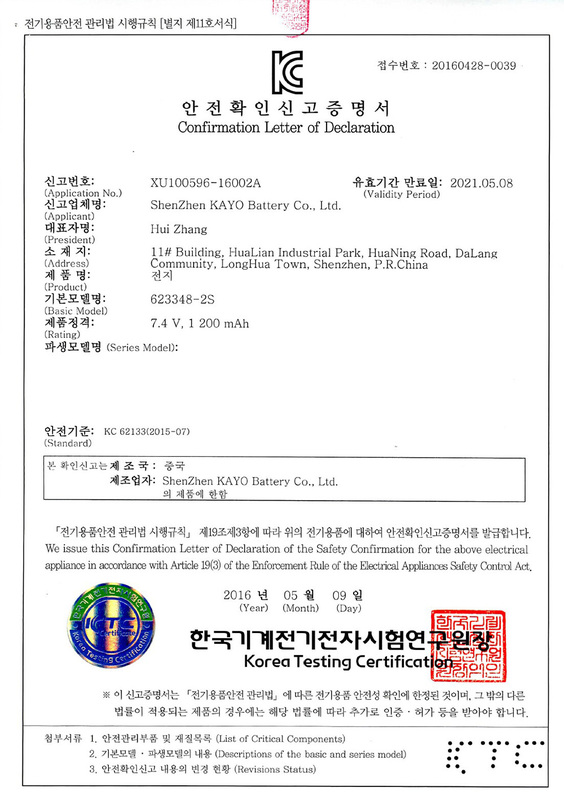 KAYO products are in line with IEC62133 test requirements and can be safely used in electric devices. 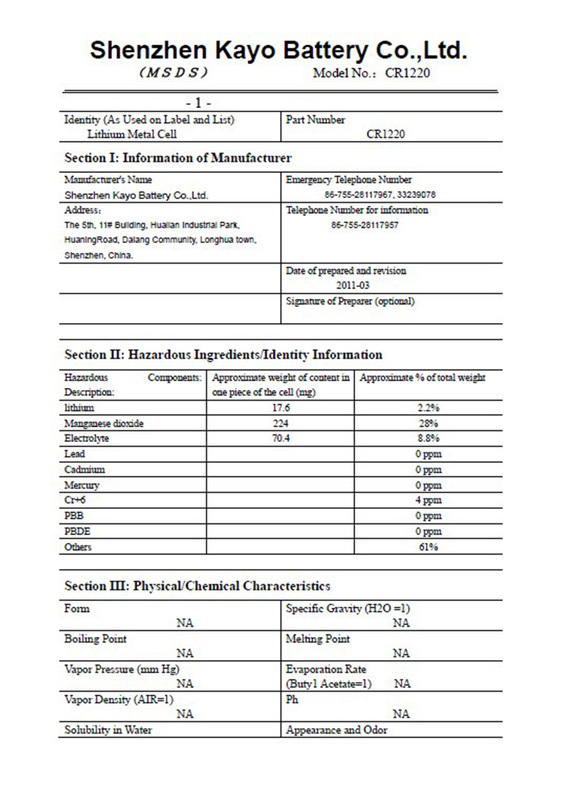 KAYO products are in line with Reach requirements. 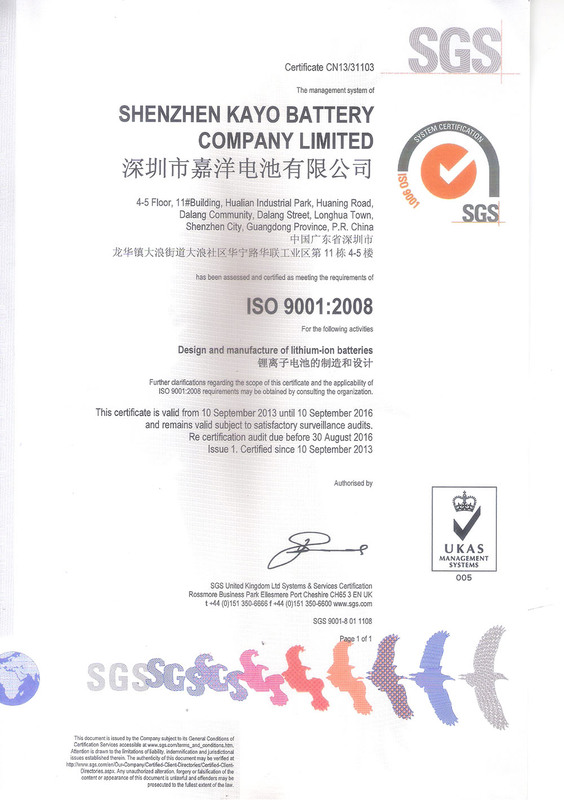 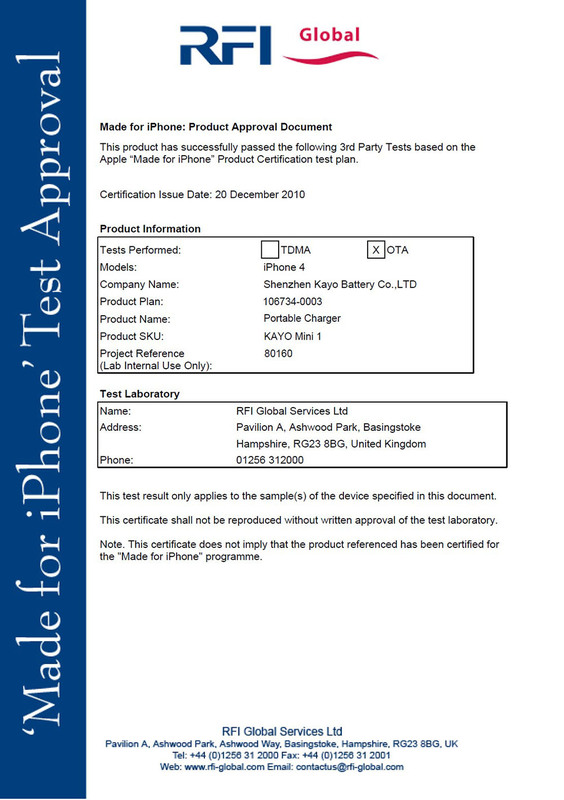 KAYO provides have obtained UL certification. 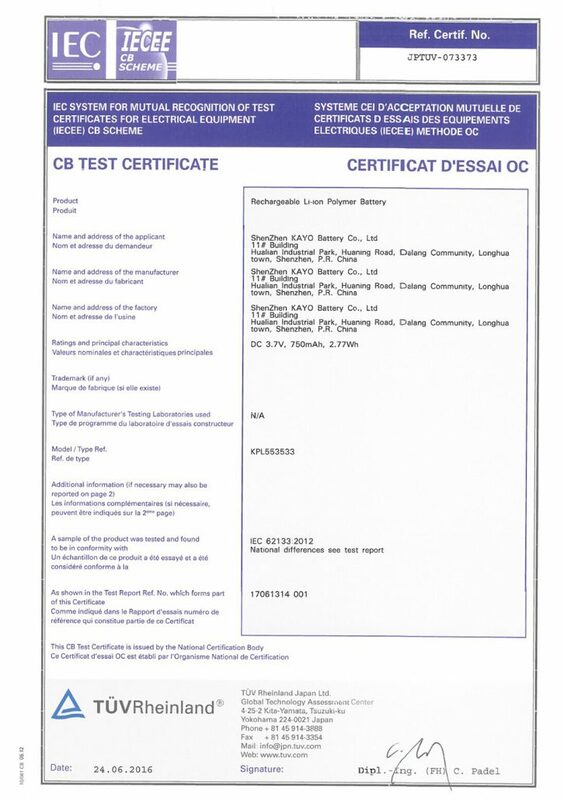 products are in line with the BSMI certification requirements and can be safely used in electric products.